The 74LS00 IC is a Quad 2 Input NAND Gate which is 14 pin IC used to perform NAND operation of digital data. 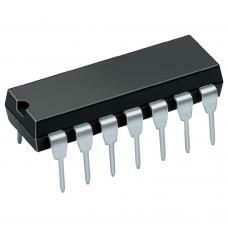 This IC has 4 independent NAND gate with 14 no. pin Vcc and 7 no. pin Gnd, pin no. 1 & 2 input and pin no. 3 is output, pin no. 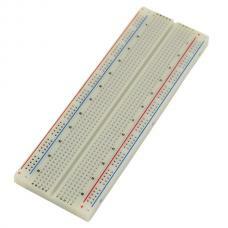 4 & 5 input and 6 is output, 8 & 9 input & 10 is output, 11 & 12 input where as 13 is output. The 74LS00 IC is a dual-in-line package Universal gate. 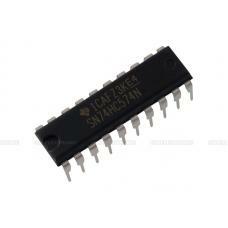 This IC used to design electronic projects, in different electronic circuits and other gates, because it is a universal gate. 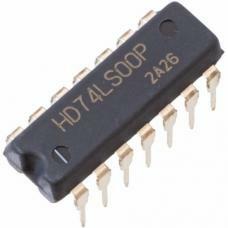 The 74ls04 IC can be soldered with PCB or can be connected through 14 pin IC base. 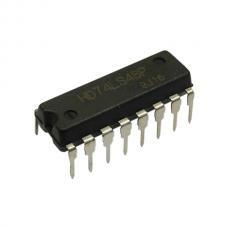 D-TYPE FLIP-FLOP, 74HC574, DIP20 Flip-Flop Type: D Propagation Delay: 31ns Supp..
IC, HEX INVERTER, 74HC05 Logic Type: Inverter Output Current: 5.2..
74LS04 Hex Inverter IC Manufacturer: Renesas Manufacturer Part No: HD74LS04P Package / Case..
OR Gate Manufacturer: Texas Instruments Manufacturer Part No: SN74LS32N Package / Case: PDI.. Product Desciption Part NO. 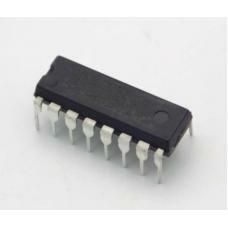 M74HCT74B1R Manufacture STMicr..